It is now less than 4 weeks until Christmas, and the relatively new shopping sensation (to the UK at least) ‘Black Friday’ is seemingly bringing out the worst in people. Encouraging people to panic buy items they don’t really want, all because of an artificially discounted price. At The Pen Company we do things a little differently! We pride ourselves on offering great value and excellent customer service all year round. Based in the small market town of Hitchin, in Hertfordshire, we’ve been sending luxury pens and beautiful pencils around the world for over a decade. 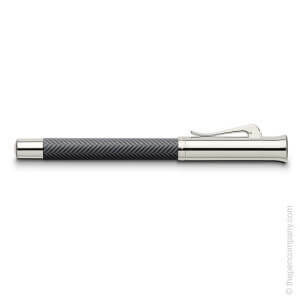 Additionally, unlike some UK pen shops, when we say it’s in stock, it’s in stock; we do not drop ship. So if pushing your way through the crowds this Christmas isn’t your ‘cup of tea’, why not browse our range of Luxury & Designer pen brands and find something for that extra special someone. We aim to beat any genuine price; if you do manage to find one of our products for less, why not drop us an email, or give us a ring? One lucky winner will receive their choice of a Anthracite Graf von Faber-Castell Guilloche Ciselé as either a fountain, ballpoint, rollerball, or mechanical pencil worth up to £310.50! A stunning addition to the Guilloche range, the Ciselé features a deeply engraved herringbone pattern, available in anthracite, brown and the new light grey with rhodium plated trim. 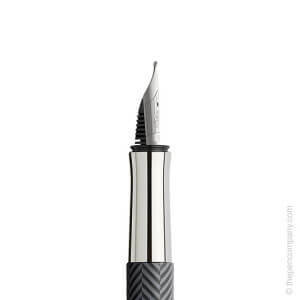 This pen comes from the premium Graf von Faber Castell range. There are several ways to enter using the widget below. The more times you enter, the greater your chance of winning. This competition is open to contestants worldwide. The winner will be chosen at random at noon GMT on the 18th December 2014.